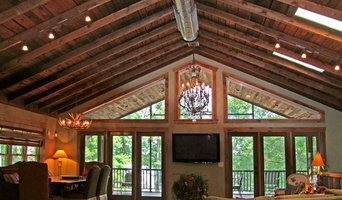 Henderson Building Group specializes in building custom homes and major home renovations. Our remodels and renovations have included additions, kitchen and baths and outdoor living space. Owner Brooks Henderson has been in the custom home building and home improvement business since 1997. After working with Charlotte’s largest luxury home builder for five years, Brooks went out on his own and established Henderson Building Group, LLC in 2008 in Cornelius, NC. Whether it’s building a new home or a home remodeling project, we are here to help you meet your needs. We pride ourselves in building strong client relationships, and providing smart, effective solutions to achieve your goals. We are diligent in staying up to date with the latest trends, technologies and improvements within the home building industry. Henderson Building Group believes that quality craftsmanship is fundamental. We are proud to partner with only the best companies in our area to ensure your project is completed in a timely manner, within your budget, and exceeding your expectations. Our architects will work with you on the plan that best suites your needs and our designers assist our clients with selections, interior and exterior designs to truly customize your home to you and your family. As a Certified Green Professional, Henderson Building Group will work to maximize the energy efficiency of your new custom home, renovation or addition. We are dedicated to a high level of customer service and attention to detail on each home. We supervise every step of the building process, maintaining open communication with our clients. Chad Goodin Signature Homes, Inc. Whether renovating your current home or building a custom home from scratch you will always have the opportunity to design the dream home you have always wanted. Build Your Dreams On a Solid Foundation! Foundation Homes Residential is owned by a licensed general contractor who offers 20+ years of custom home building experience . We work closely with a professional designer and provide services in land development, landscaping, interior/exterior home designing and custom home building. Foundation Homes Residential provides homeowners with a one-on-one relationship to guide you through every phase of the construction process. New construction can be stressful at times and it is our utmost priority to ensure that each homeowner has an enjoyable experience. We believe in providing homeowners with flexibility, open lines of communication and face-to-face meetings with the general contractor to ensure that the building process runs smoothly and remains on schedule. We strive to make the home building experience fun and exciting from lot selections to final finishes. We are available to assist you with locating a lot of your choice or can show you current lots we have available. We work very closely with a design and architectural team if you need our assistance with designing a detailed plan that fits your families personal needs. You may also select from one of our current plans or you can bring us your own plan. As a custom builder we pay close attention to details with every aspect of your home and work with trusted and licensed vendors to ensure custom quality. We also provide each homeowner with a 2/10 Warranty. Foundation Homes looks forward to assisting you with your homebuilding needs! 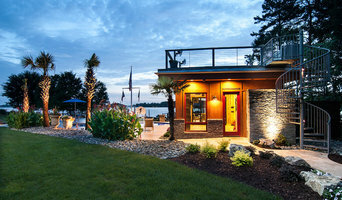 Plattner Custom Builders builds luxury custom homes in the Lake Norman area. Our company bears our name because we stand behind what we build. A home should last for generations. Artisan Custom Homes: Preserving the Art of Fine Home Building Artisan Custom Homes is a residential building company that specializes in high quality custom-built homes. 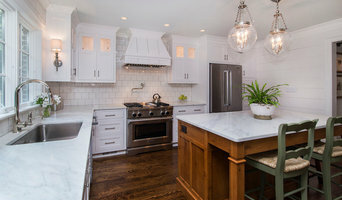 Artisan Custom Homes was created in July, 2001 at which time Jay Johnstone and John Shryock decided to pool their combined breadth of knowledge of the Charlotte construction industry and develop a unique custom home building company. The four principals of Artisan Custom Homes are: 1. The constant pursuit of excellence. 2. The ability to provide flexibility and round-the-clock service for clients. 3. The utilization of innovative and quality products. 4. To maintain a high level of cost control to provide homeowners with the most competitive price point in the Charlotte area. Artisan Custom Homes provides hands-on personalized attention to clients building a home of $500,000 or more. We aim to build a quality home in a timely manner and are a full-service company which includes: finding land, setting up financing, ordering and altering floor plans and providing an estimate that fits within our client's budget. Along with round-the-clock access to its founders, Artisan Custom Homes clients also have the benefit of using a Customer Selections Coordinator. The design coordinator meets with customers to help them make selections and translate their vision for their home into reality. Based in Davidson, NC, Artisan Custom Homes creates well-crafted homes that reflect our clients' diverse tastes and lifestyles. We have a diverse portfolio of homes ranging from a Nantucket-style home with cedar shake and stone, a French country home with stone, stucco and brick accents, a vintage European farmhouse, a traditional brick ranch and a stately home in Myers Park. Artisan Custom Homes welcomes new clients who wish to build a custom home or enhance their existing residence in Charlotte and its surrounding suburbs. Established in 1957, Whitlock’s portfolio demonstrates the company’s unwavering pledge to create exceptional homes of enduring value. R.E. Foy & Son Builders, Inc.
R.E. Foy & Son Builders, Inc. specializing in Residential and Commercial construction. With more than 20 years of experience, we are a full service design-build company with proven quality. Established in 2003, Elite Design Group has built a reputation for providing unique home designs with a classic, timeless elegance. Certified Green Professional - The team at 4G will empower you to build your dream home by guiding you through the design and construction processes. KDH Residential Designs (AIBD) offers a personalized home designing experience tailored to each client's specific needs. We specialize in custom home building, remodels, and additions. Each client will receive one-on-one communication with a designer in order to make your dream home a reality. Let KDH Residential Designs unlock your imagination. Iredell County Award Winning Residential Designer | Best of Houzz! Pippin Home Designs, Inc. is a full-service residential design firm, specializing in environmentally friendly custom new home and renovation designs. The company’s mission focuses on capturing each client’s individual needs and dreams so they can design and build a vision together of what the home is to them. Founder and president Eric Johnson started the American dream of building beautiful homes for everyone, regardless of price range. Lake Norman's only true Design Build company has been building on the shores of Lake Norman and all the towns surrounding it since 1989. E.S. Johnson Builders recognizes that although building beautiful homes is what they do every day, it’s important to remember that for each one of their homeowners, it’s the only home that matters. We want to cater our process to how you want things to happen, it’s your journey. Since 1986 Michael Shalvoy has earned a reputation for providing top notch service and exceptionally tasteful custom homes Ocean Front Boca Raton, Florida to “Spraddle Creek” in Vail Colorado. Connecting with people about the spirit of architecture. What it means. What it does. And how it connects us all. We design and detail unique and original homes with the owner's dreams in mind. Our vision is for our design to complement your lifestyle. We welcome you to contact us and learn more about how we do it. R+R Design is a Residential Architectural Firm in the Charlotte, North Carolina area. MNM helps clients cast vision, problem solve, develop long-term property solutions, and navigate through the inevitable obstacles of the building and design process. A team is defined by its leadership. With Joe Grainda and Jason Tanenbaum at the helm of this boutique custom home building company, one thing is clear: Everybody rolls up their sleeves and is hands-on in every client project. To be exceptional in construction is one thing. To truly enjoy construction is what being a master builder is all about. This defines us, and Grainda Builders approaches their work every day. State-of-the-art construction and great customer service is a given. Nobody leaving a job site until a client is happy for the day is our own high standard. Award-winning partners and talented craftsmen is the norm. Figuring out how to best solve a client’s highest priorities and doing right by them is our definition of work satisfaction. We want to earn a client’s loyalty for a lifetime. Pure and simple. Fleur de Lis Construction is one of Lake Norman's premium custom home builders. Specializing in upscale waterfront & golf community properties: The Point, The Farms, Pinnacle Shores, and The Harbor. As a division of DiPascal Construction & Development, Inc., they also specialize in high-end renovations throughout the Lake Norman Area. FDL owners, Keith and Leah DiPascal, are dedicated to making the build process a pleasant experience for each of their clients. "Every client deserves personalized attention throughout the planning and build stage. We don't want to simply construct or renovate structures. We want to create beautiful spaces for our clients where they can enjoy life, experience incredible moments with family and friends, and create memories that will last a lifetime." Homeowners choose FDL because of their excellent reputation. They trust and recommend FDL to others because they've experienced Keith and Leah's commitment to offering exceptional service in these areas of importance: 1. Extraordinary craftsmanship and high-quality construction. 2. Attention to detail and dedicated support from start to finish. 3. Integrity in pricing and high-level supervision throughout entire build phase. 4. Personalized assistance for custom design and entertaining spaces. With their business spanning two generations of family-owned homebuilders and land developers, Fleur-de-Lis Construction has a long-standing reputation for construction excellence and customer satisfaction. "Our greatest form of advertising comes from our clients." Whether you’re ready to build a new home. Or embarking on a major renovation at your existing residence. FDL will provide the expertise, support, and knowledge that will bring your vision to fruition. Call today and find out for yourself: 704-729-4848 Areas: Mooresville, Davidson, Cornelius, Huntersville, Sherrills Ford, Denver, Mt Ulla, Statesville, Charlotte, Concord. Patrick Joseph Distinctive Homes’ Michael Shalvoy offers his clients more than twenty-five years of custom home building knowledge and experience. His thorough understanding of fine architecture and authentic detail is blended perfectly with sophisticated planning and quality control programs. While Mike has built high-end custom homes in such diverse locations as Lake Norman, Boca Raton, and Vail, his focus on complete customer satisfaction has never varied. Management Philosophy -Respect – Foster an environment of respect for our clients, employees, suppliers, and the community, at large -Expect – Clearly lay out all requirements for job performance, quality, timelines, cost, and other quantifiable elements of execution. -Inspect – Hold all constituents accountable for executing their responsibilities in the manner agreed to. Provide regular feedback as a process for continuous improvement. Mission Statement -Create stunning designs, and build extraordinary quality and client value that exceeds our customers’ expectations. -Build an enduring company through satisfied customers and a strong referral business by dedicating our resources to total customer satisfaction. Our building process from pre-construction to post construction has been featured in numerous trade publications and promotes lasting relationships with our building clientele and makes for truly spectacular residences. 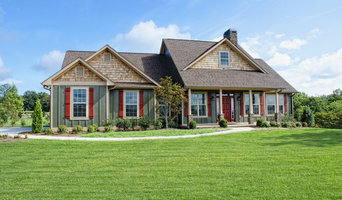 Since 2002, John Marshall Custom Homes has been building traditionally styled custom homes. From new homes to renovations, we specialize in building unique projects at a fair price. We are a leader in green building, and are the leading private builder of LEED certified homes in North Carolina. Best of Houzz 2015.